The trip to UkeHUB Kafé will be the first part of your adventure. I say “adventure” without the hyperbole. It’s located at Airport Road in Lapu-Lapu City and literally 5 minutes from the Mactan Cebu International Airport. 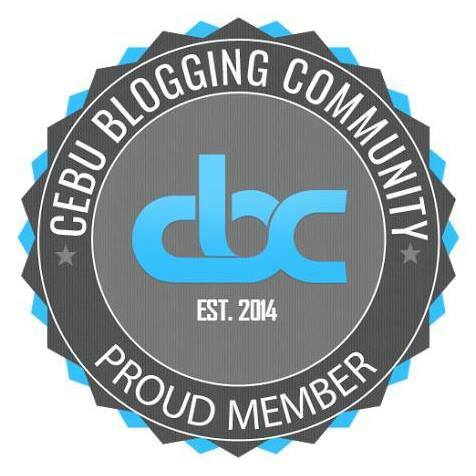 It is also about an hour away from the heart of Cebu City. If you’re at the Mactan Marina Mall, then you’re very close. 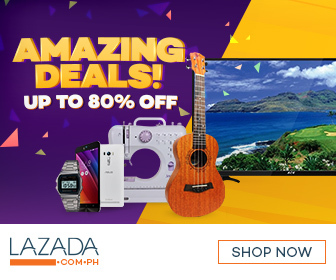 Just follow the road that leads beyond the Timex Clock Tower and you’ll find Mactan Arcade. From there, simply follow the smell of brewing coffee and the sound of high pitched strumming on the ukulele. Stepping inside UkeHUB is an aesthetic experience. 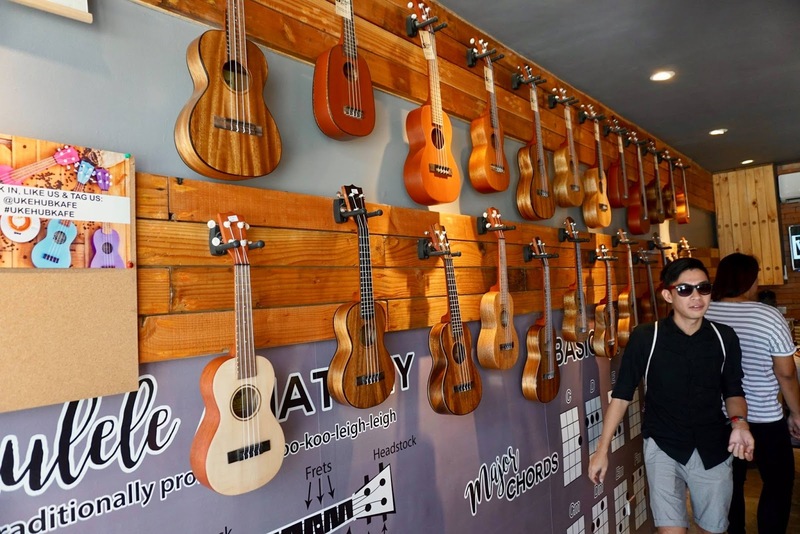 The walls are decorated with a line-up of the finest ukuleles in the island of Mactan. These ones are manufactured by the world-famous Susing’s Guitar. 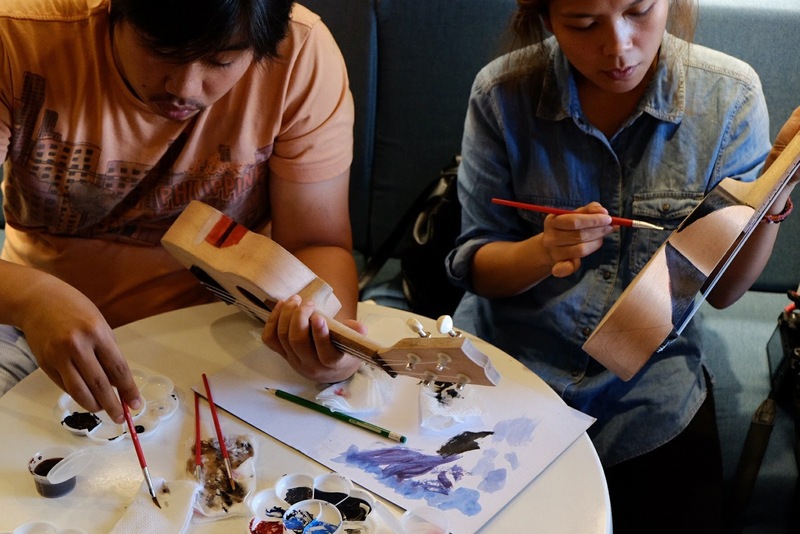 Susing's Guitar is one of the oldest guitar and ukulele manufacturers in the country. The ukuleles are the main stuff the UkeHUB Kafé is actually selling. Coffee and sandwiches are only secondary. Their ukuleles range from 1500 to more than 10000 pesos, depending on the wood it’s made from. They make it with as simple as mahogany wood to premium Swedish oak wood. And they come in different types too. Apparently, there is more than one type of these midget guitars. They are the Soprano, the Concert, the Tenor, and the most aptly named Baby Guitar. I wonder how they’re made. Chuckles. The Baby Guitar is sometimes called the Baritone. 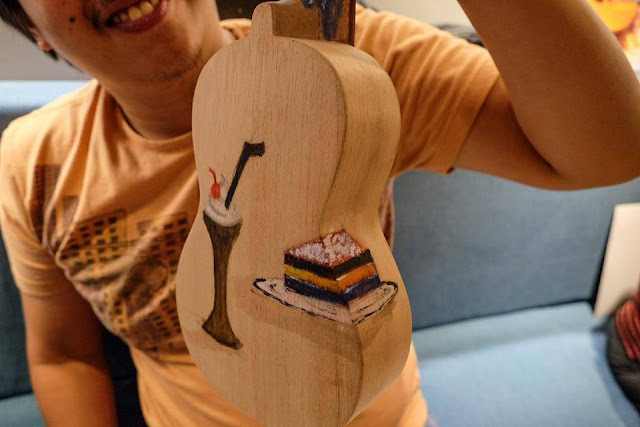 If you’re the kind that appreciates pretty awesome craft, then these ukulele displays will sure to satisfy you’re aesthetic craving. Oh, it’s cheap! Yet the quality is top notch. For literally less than a hundred pesos, you already get some foam latte art on your cup of hot chocolate. I mean, I don’t always get that kind of love on my hot drinks. It tastes good too! I personally love their Maya’s Lasagna and Hungry Harry’s Sandwich. And who wouldn’t? I mean, either of these rock stars are only 130 pesos. But they definitely make a stomach full. Even for one as huge as mine. Delicious to say the least---a must try! 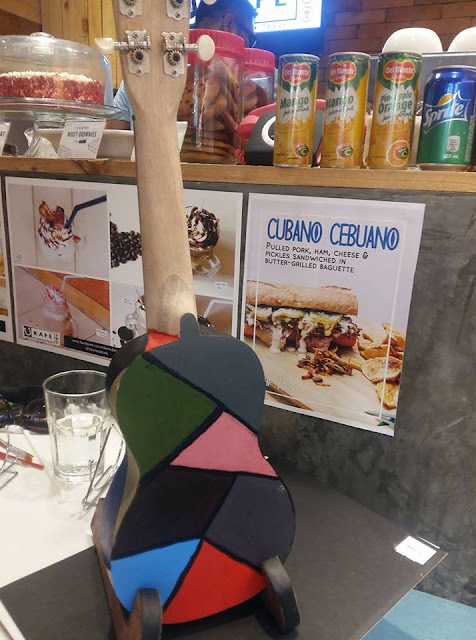 Part of the UkeHub Kafe’s cause is to promote ukulele music as an indelible part of the Cebuano’s history and culture. That is why every week, they have ukulele workshops. These workshops aim to teach kids of all ages to play and appreciate the chill and bubbly music of the ukulele. Because, if anything, “chill and bubbly” are two words that best describe the Cebuano spirit, true? The workshops usually happen on weekends. But you can always work with them to set a schedule for you. To find out the next workshop schedule, visit their Facebook page at www.facebook.com/UkeHubKafe. As I went through the workshop last 19 March 2017, my spirit danced with joy and merriment from how easy yet satisfying it is to strum and rock with this little instrument. I tell you, it feels absolutely natural. Like the ukulele was meant to be there in my arms, over my chest, close to the beat of my heart. The workshop started with learning the ukulele’s history, anatomy, its major chords, and its different styles of strumming. Our mentor was Frank Cane. Teacher Frank is a pioneer in the Philippine Philharmonic Orchestra. He is now a local music teacher in Mactan. He is a funny and high-spirited man and he taught to play three songs, in less than half an hour. And from the chord patterns that he taught me that day, I am now able to play more than 20 songs with the ukulele. And I think that’s hell of rad to say the least! The price for each workshop starts from 150 pesos per person. Yep, you read that right. It’s that affordable. And I guarantee you, dear readers, it’s worth every single cent. I have always been in love with arts and crafts. Besides literature and music, the visual arts is the one closest to me. I had always drawn pictures since I was a kid. But as many amateur artists know, color rendering is hell. Water color painting was always my weakness. The painting teachers from UkeHUB Kafe were super cool and friendly. Their cheerful patience was very encouraging. And for the first time in my life, I loved my painting. Although it’s really simple, it made me proud and happy. By the way, the price for this workshop is only 1000 pesos! With that, you get a standard ukulele made of mahogany wood. You also get to learn how to mix paint and render colors. Plus you get to bring home the brushes and color plates too! Now, if that’s not perfect. I don’t know what is. The UkeHub Kafe is a place for travelers to lounge, chill, and rejuvenate after long hours of flying coach. 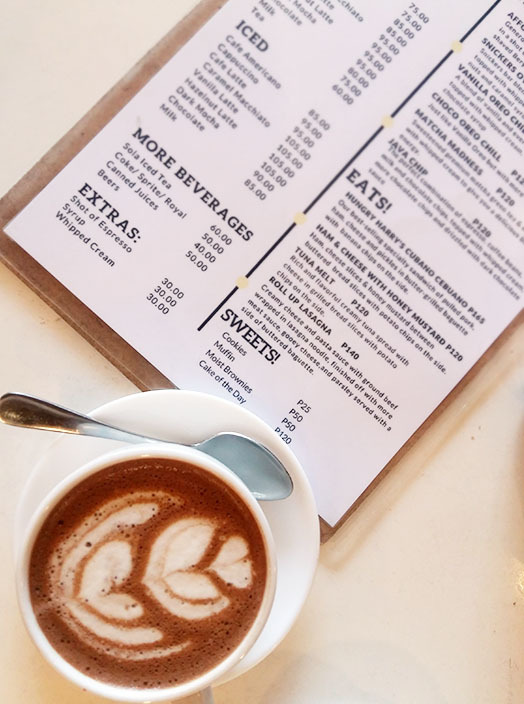 For the 8 hour stopovers, it’s the place to go pamper yourself with the beautiful line-up of ukuleles while you sit back and enjoy a cup of coffee. It’s for the Cebuano youth to set themselves off for a new kind adventure. The kind that doesn’t require you to trek faraway places. Ukehub Kafe offers an adventure that recalls us back to where we belong. With people who reflect our very own. An adventure based at a place that is home. What are you waiting for? Head to UkeHUB Kafe for your healthy dose of island music and good food. Note: This article was contributed by Nathaniel John Arong. He attended the UkeHUB Kafe's Craft Party on 19 March 2017 on behalf of the Wonderful Cebu blog.